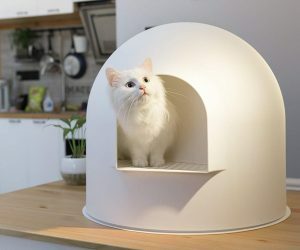 If you have a feline friend who rules your heart and your hearth, then you'll appreciate I-CHI's 'perfect" cat house. 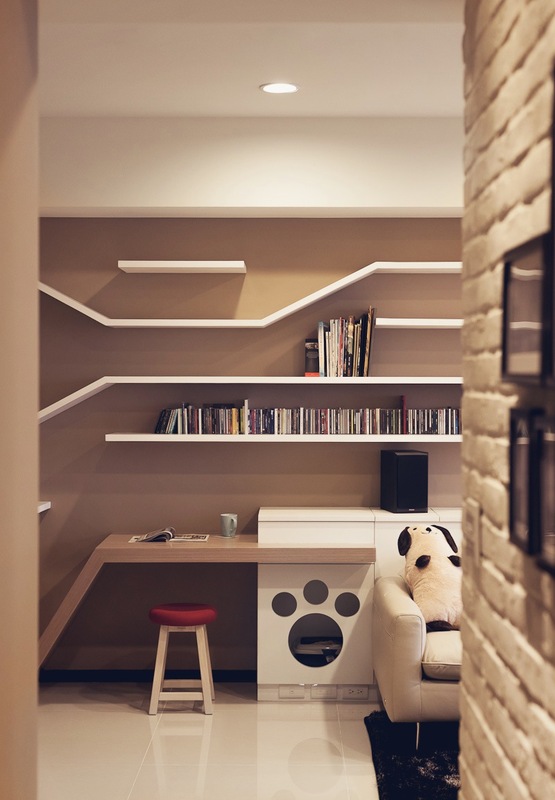 The contemporary apartment features built-ins and other elements created especially to accommodate the owner's beloved pet. 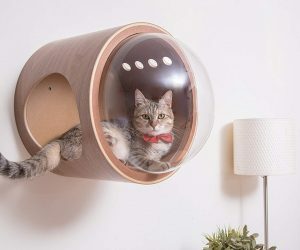 All we can say this is one lucky kitty! 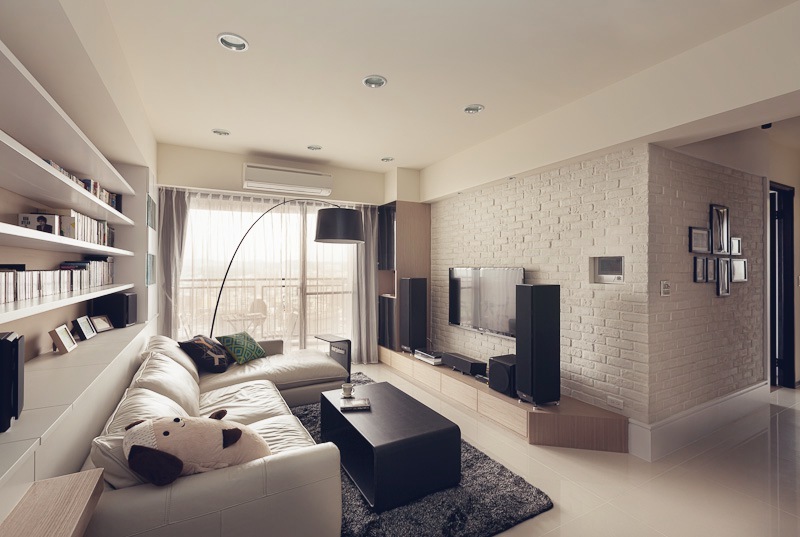 A soft neutral palette with dramatic black accents flows throughout the apartment. 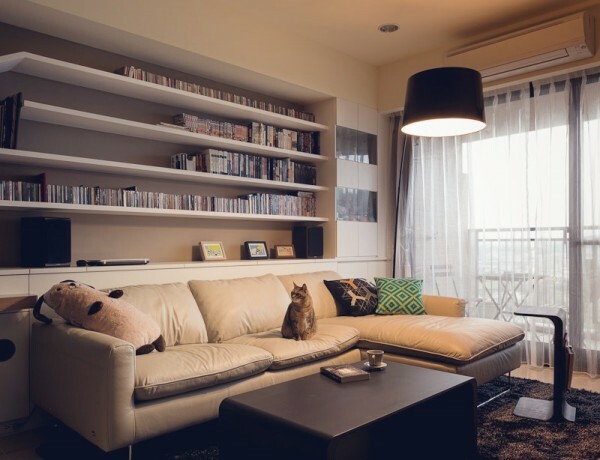 A large glass sliding door offers plenty of natural light and a view of the city beyond. 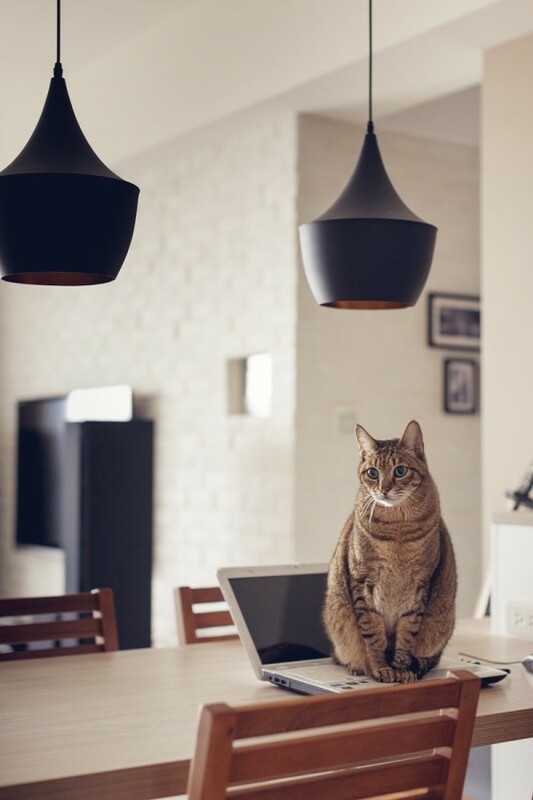 The resident cat surveys her house from atop a light natural wood table. 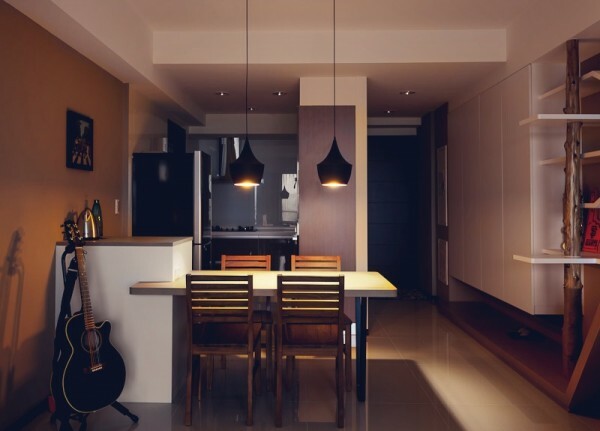 Black pendant lights hang above. 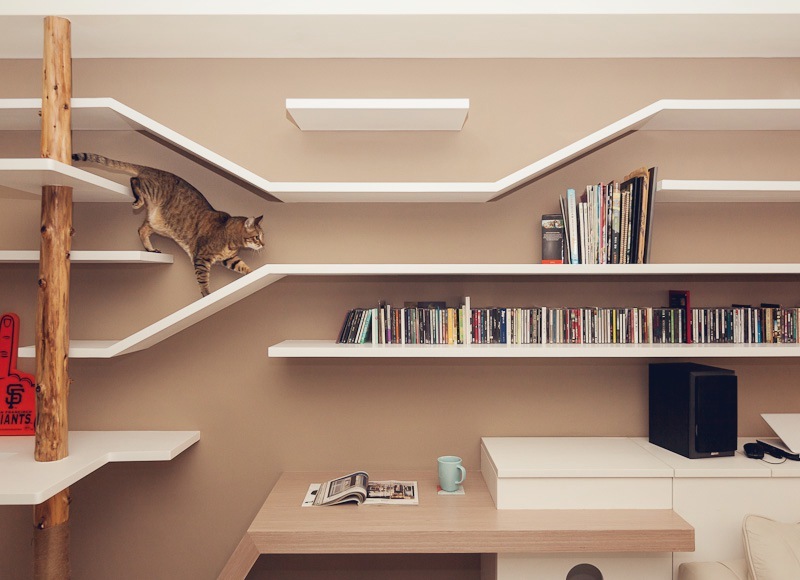 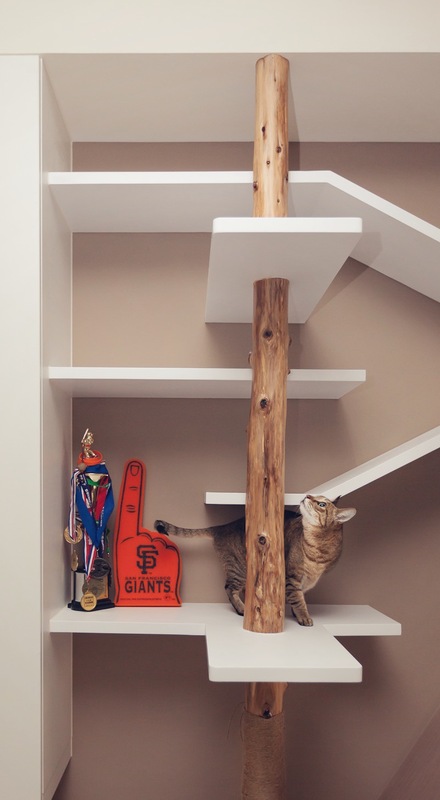 A cat’s fantasy play land was built into the bookshelves offering the feline a scratching post and multilevel shelves and platforms to run and climb on. 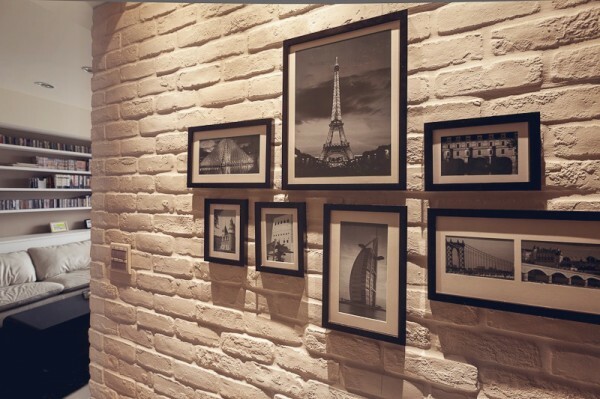 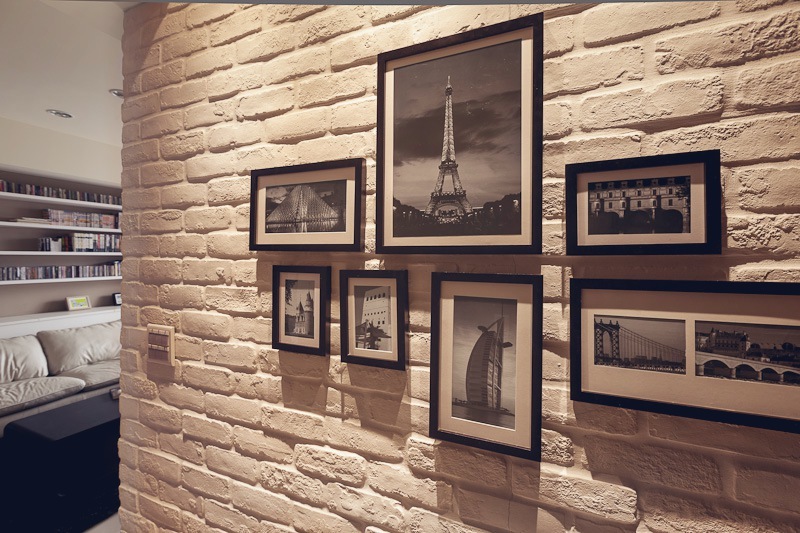 A gallery art wall featuring small black and white photographs is dramatically lit from above. A miniature cat house is seen here in white beside a small desk area. 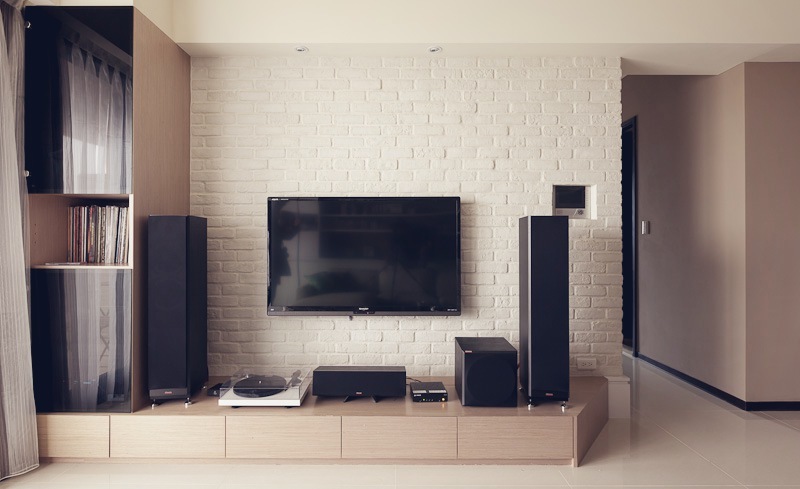 A low profile wood platform with drawer space acts as media center set in front of a painted brick wall. 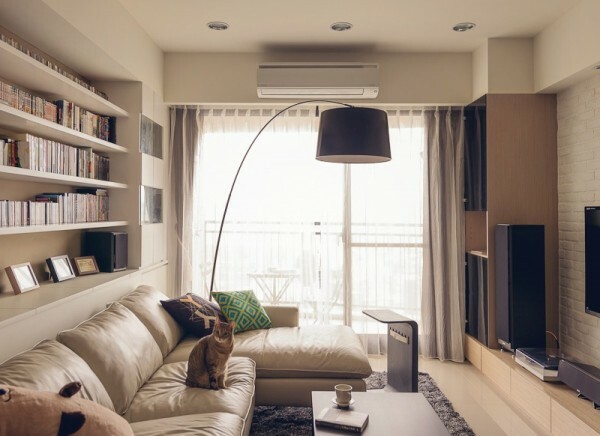 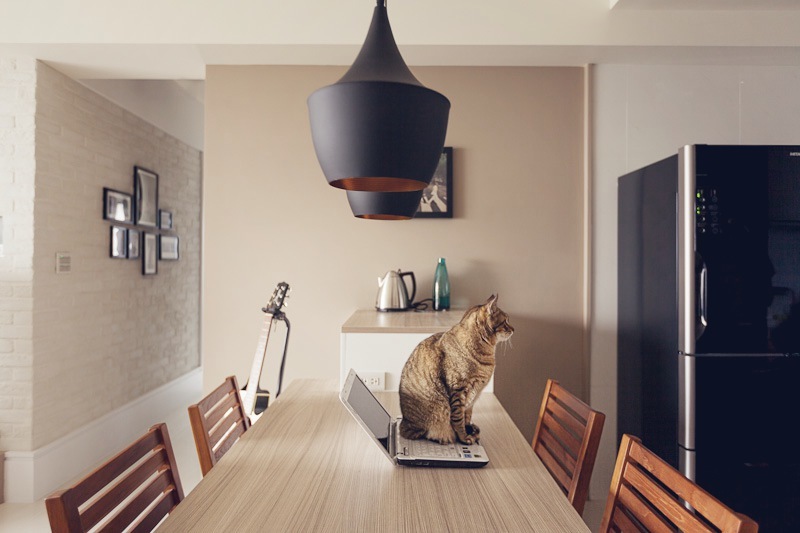 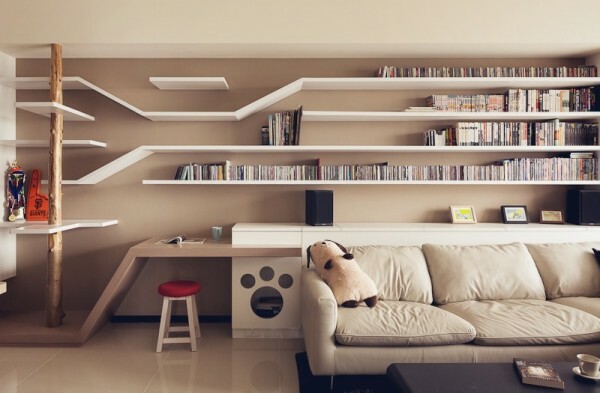 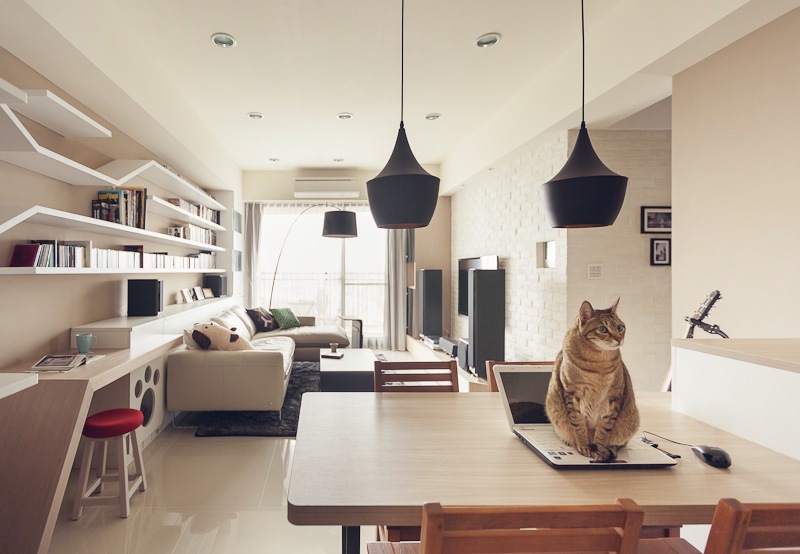 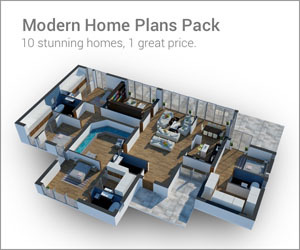 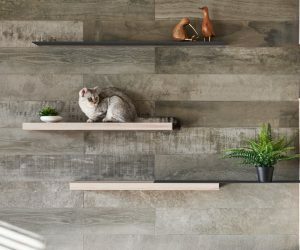 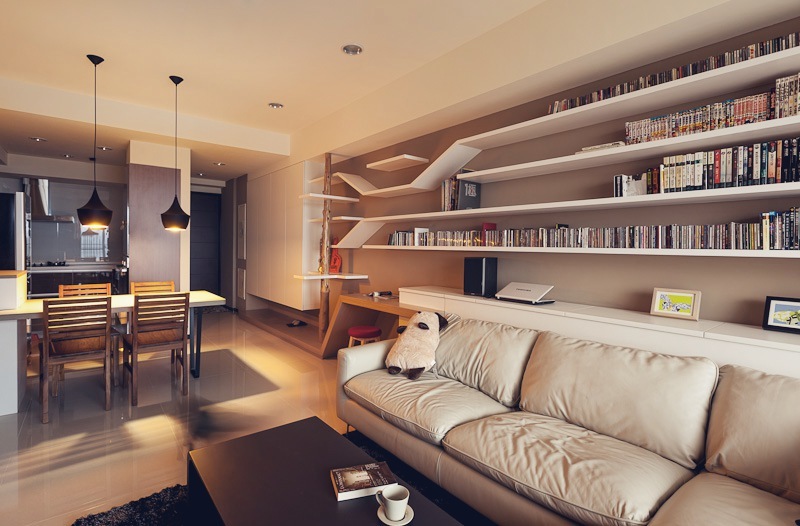 While the apartment’s main living area set in a long and narrow room, it still provides ample living space for the homeowners and resident cat.